LCAM is named after Antonie Philips van Leeuwenhoek (October 24, 1632 – August 26, 1723) who was a Dutch tradesman and scientist. He is commonly known as “the Father of Microbiology”, and considered to be the first microbiologist. He is best known for his work on the improvement of the microscope and for his contributions towards the establishment of microbiology. 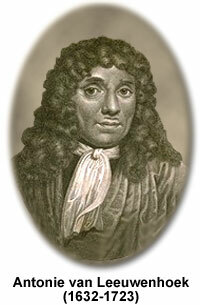 Raised in Delft, Netherlands, Leeuwenhoek worked as a draper in his youth, and founded his own shop in 1654. He made a name for himself in municipal politics, and eventually developed an interest in lensmaking. Using his handcrafted microscopes, he was the first to observe and describe single-celled organisms, which he originally referred to as animalcules, and which are now referred to as microorganisms. He was also the first to record microscopic observations of muscle fibers, bacteria, spermatozoa, and blood flow in capillaries (small blood vessels). Leeuwenhoek did not author any books; his discoveries came to light through correspondence with the Royal Society, which published his letters. For more info click here.